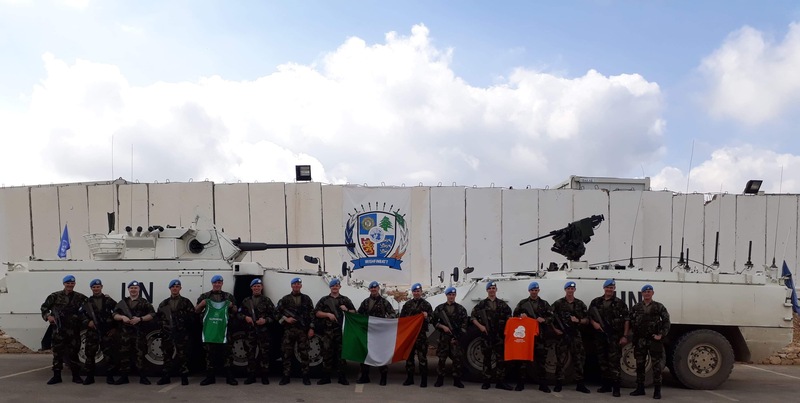 On June 9th members of the 112th Irish Infantry Batallion serving in South Lebanon on Peace Support Operations under the Command of Lt Col John Kilmartin conducted the Glenmore Challenge in Support of our respite centre. On the same date and time as the Glenmore home event the soldiers took part in the event in South Lebanon. The idea was organised by Company Quarter Master Sergeant Terry Steeples who is a member of Glenmore Athletic club and is currently serving in Lebanon. Over 200 troops from Ireland, France, Estonia and Italy took part in the event which raised over €5000 for us. CQMS Steeples told us that “although temperatures reached over 30 degrees all troops were more than happy to do their bit and contribute to this great cause”. 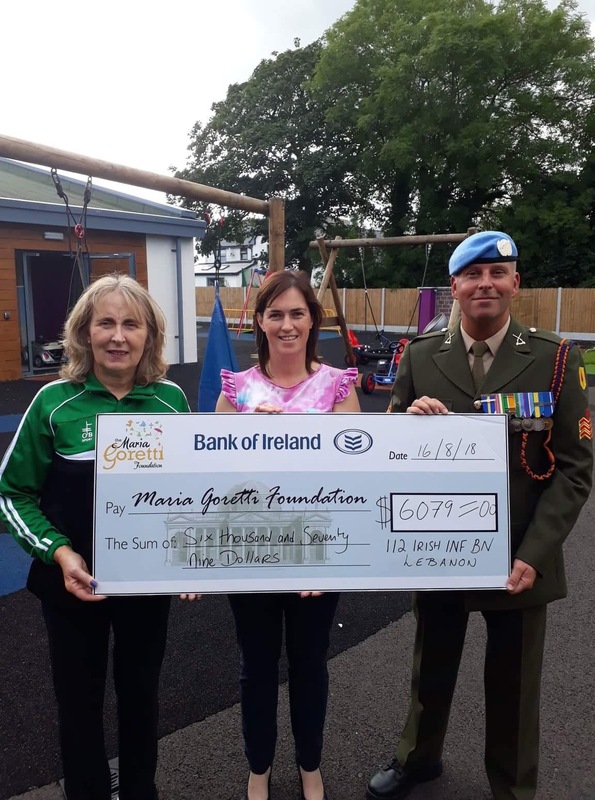 We are overwhelmed by this generous donation and plan to use the money to purchase outdoor musical equipment which will further enhance our sensory garden. We would like to sincerely thank all the troops serving in the Lebanon and wish them well in the remainder of their term. We would also like to say a big thank you to all members of the Glenmore AC who have been supporting our centre over the last number of years.